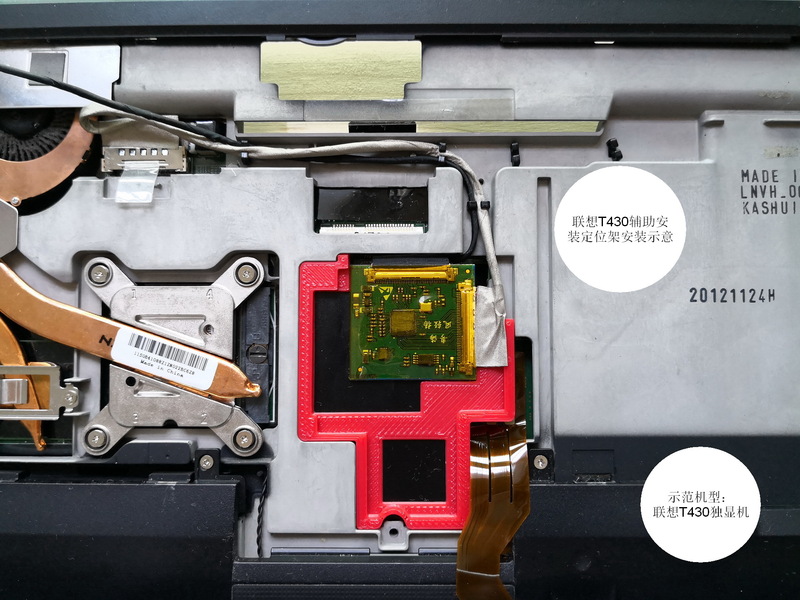 Two weeks ago I ordered the Chinese version of the FHD IPS kit claiming to have no flickering for the T420/T430, and presumably it works on T410 as well. I went for the adapter + compatible LCD kit. At random I received a B140HAN01.1. The adapter comes in the form of a T420 gray thick LVDS cable, Chinese adapter board, and an EDP cable. It is recommended to run the LVDS cable through the hinge as normal, then tape the adapter board to the lower left corner inside the lid, then run the EDP cable into the LCD. But this causes abnormal backlight bleeding in the lower left of the LCD especially noticeable on dark colors, and abnormal flexing of the LCD when manipulating the lid as evidenced by backlight distortions, due to pressure from the adapter board against the rear of the LCD. T430's lid, being extremely thin, cannot fit an adapter board behind the LCD. Wear and tear being a cause of concern to me, I solved the issue by running the EDP cable its full short length through the hinge and depositing the adapter board on top of the fan. Safely covered in electrical tape, along with its cables tucked underneath, the Chinese adapter board floats above of the fan housing. At the time of the pictures, I had not yet taped a plastic spacer to prevent contact with the fan with the keyboard pressing down. That is added now. To fit the adapter board under the C Shell requires removing the aluminum keyboard supports as marked in the red box. The result is a FHD IPS T430 with no flickering and no abnormal backlight bleeding. The LCD came with one stuck pixel that I haven't the energy to complain about at this time. I made the icons and text that absurdly small myself, 157 DPI isn't like that by default. Truly an IPS display. Panelook describes the B140HAN01.1 as having 300 nit brightness, 89° viewing angles, and 700:1 contrast ratio. It's not as pleasant a display as the IBM Flexviews of olde, in my personal opinion, when it comes to who did IPS better. The T430 came with a Samsung WXGA that I upgraded to an AUO HD+. The WXGA was actually the better display viewing angle wise, with the HD+ having only better colors and a little more width. As with all the original WXGA and HD+ offerings in the stock T420/T430 and their slim counterparts, they are both trash. Trash compared to other TNs, and complete and utter rubbish compared to this decent IPS screen. No longer do I have to tilt the lid up and down to use the machine comfortably. With the laptop apart I found a Grade B+ Chicony keyboard to do the classic keyboard mod with. I taped over the pins first with electrical tape, but the height differential broke the Trackpoint buttons, then with scotch tape and four layers of paper pushing down on the ribbon. I put together this modified EC, shared for your convenience (T430 ONLY), and flashed it in a CDROM for restored functionality of most, but not all, function and 7th row keys. Thinklight is activated by Fn+PgUp, as it should be. The fingerprint reader is glowy and very good for a swipe model. With the FHD IPS mod the T430 gains the real estate and quality of a respectable modern office laptop. The Thinklight, Touchpad buttons, and of course Classic Keyboard are traditional Thinkpad features lost on the newer machines, except the 25 - however the T430 sports a Thinklight which that laptop does not, an extended battery that sticks out in the correct direction, a DVD drive, and the benefit that comes with time of cheaper replacement parts, excluding the FHD IPS adapter which cost over $120 and that was with a Prime day coupon. Currently specced with an i5 3320m 2.6 ghz, 8GB DDR3L, Intel 6205 wireless N, and a 128GB Micron C300 SATA 2 SSD in the main bay - there remains a lot of room for upgrades, eg. an Ivy Bridge quad core, 16GB DDR3, a larger SATA 3 SSD or additional storage in the MSATA or Ultrabay should I want a machine to beat the 25 at its own game. At this time, I rather save the three digits than commit to maxing out the laptop, when already it delivers all I need, and more, considering I daily drive a T500. Or should I say drove? This is a fantastic mod. Are you willing to make more of this and sell them? Just asking, I am fine with the TP25. The result is a FHD IPS T430 with no flickering and no abnormal backlight bleeding. Hey hey, welcome to the club! I guess I should update my huge picture thread with reference to the FHD kids for T420/T430 finally being available and reliable. (just a small footnote: if you want to beat the TP25 in its own game you need the i7 iGP T430s because that has Thunderbolt 1. It really does not compare to Thunderbolt 3, feature wise, plus it uses the old miniDP connector, not the USB-C which is about to become ubiquitous. And being a significantly slimmer and lighter machine with the same (or better) battery life. However, on the T430 you can get a quad-core, as TPFanatic mentioned, and in some workloads it will be faster than the better dual-core of a the TP25. Plus it has a drive bay and can take up to 3 storage devices. Every machine has its place. The T430 will never beat a TP25 in its own game, but it can beat it in other games. The parts are available so anyone could DIY it, as for the alternative adapter board placement and Classic keyboard mod, those just require a grinding wheel, snips, scissors, dremel, or other small precise cutting tool, thin tape and some paper, and bravery. You're right that makes better sense. I am fond of the T25 and don't meant to be hating on it too much. I suppose the T430 beats up the T420 instead, with the classic keyboard and everything, with the exception of defunct Fn+F3 and Fn+F8 hotkeys. What I miss is the Fn+F12 to hibernate. Can your ThinkpadHotkey.exe intercept Fn+F12 and do something with it? If so, I'd love to use it. However, I thought that the modified EC for **30 series simply does not generate anything on the "defunct" key combos, including Fn+F12. The program doesn't, unfortunately. All the Fn+ combos go through the EC. I didn't realize Fn+F12 was lost too but that's actually a plus for me, because I disable Hibernation on my computers, and pressing Fn+F12 re-enables Hibernation - unless the registry is modified. I have problems getting my browser to resume its state correctly from Hibernation, and some people in my house would deliberately Hibernate my computers knowing it sabotages my browser. The program will allow you to assign the unused Fn+F1, Fn+F9, Fn+F10, Fn+F11 to things, and some obscures one like Fn+Backspace? ?, but whether the T430's modified EC even supports those hotkeys, I don't know. One way to find out. Fn+F10 and Fn+F12 are defunct. If you program a .bat to tell Windows to Hibernate, then convert it to an .exe, you could assign Fn+F9 or Fn+F11 to run that. I currently have Fn+F2 open the Power Manager plans window, and Fn+F1 to lock the computer, since Fn+F3 is defunct. I have problems getting my browser to resume its state correctly from Hibernation, and some people in my house would deliberately Hibernate my computers knowing it sabotages my browser. I should do just that. Fn+F11 is better than Win+X,U,H. This is what I did on the TP25. That one does not have a built-in Fn combo for hibernation, but it has a built-in utility to assign anything you want to Fn+F12, including a batch file. Thank you, I shall try it later. For some reason, Google Docs isn't working for me at the moment. It's Firefox and for some reason it would hang when resuming from Hibernation and take several minutes to become usable - killing and restarting it was faster. Or at least it did some 10 versions ago, I haven't tried since. I didn't have this problem in Windows XP. It turns out my alternative placement for the adapter board, over the fan, is blocking airflow and increasing temperatures. This looks like the most ideal placement as there is already extra space there. It requires a longer EDP cable. I will have to look into where I can get that. I like to see how far you can you can push the boundaries as far as classic machines can go. The T430 is probably not worth it to me given I have a 420/420s and I have a Dell e6430 that I feel is 'close enough' for my uses. That's very smart! Good job! I expected as much the moment I saw where you put the adapter board. Still, I applaud your effort. Hope you find a longer eDP cable soon. I ended up disabling Turbo boost. Temperatures are comfy enough with CPU @ 2.6 ghz and GPU @ max clock this way,and trading away 400 mhz for 12 less watts is good to me. The longer EDP cable is custom built and I don't have enough soldering experience to brave building one myself. Now I could just order the kit that includes it, which is less than $40, and if both parts end up working good, I can FHD mod another laptop and possibly sell it. The longer cable is in the first and third items. Will the longer EDP cable from a different manufacturer be compatible with the EvanJoo board? The EvanJoo converter board and the Taobao board placed side by side are visually different; it's possible they map the wires differently. If someone had both of these boards, they could test pin for pin continuity with a multi-meter. Maybe EvanJoo could sell a longer cable or he could comment on the cable compatibility. But - with a longer cable, and the board moved to the middle of the laptop rather than behind the LCD - will there be flicker problems? I share your concern about the panel flex, on my FHD mod I have left off the LCD bezel for now to avoid putting pressure on the panel. 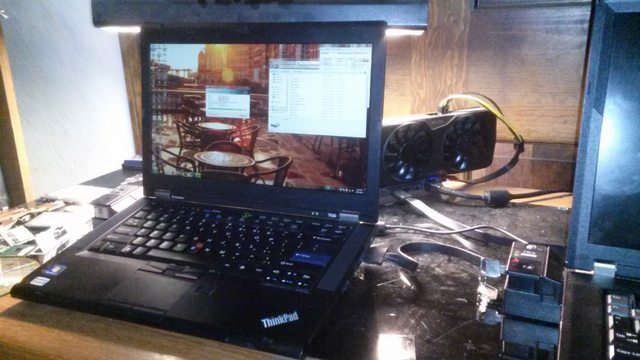 Modified T470 to look like TP Anniversary Edition; TP 25; E550; T540p; wants a T420 or P1 to see what's good. Well the FHD mod is the biggest cost and probably not that important if you can get by with the std. 900p screen. If I was to find an exlease T430 900p model cheap enough then you still need the classic kbd which is a $50 option PLUS the t420 palmrest, I believe at least $25... plus then you need the modded bios. So its worth it to me as a project of sorts. But as I said, I bought a Dell e6430 shell plus the ram and ssd and all that was pretty cheap all round. 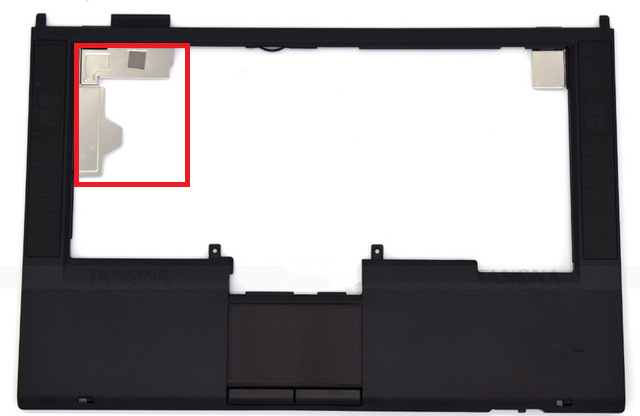 The T420 palmrest is different from the T430 palmrest and doesn't fit. Both laptops have slightly different dimensions and port changes. They are in fact very different laptops. T420s and T430s can exchange palmrests. Fn+F8 actually does work, to open the Ultranav properties requires getting the tpfnf8.exe from an install of Hotkey Features for non-T430 and registering Fn+F8 to tpfnf8.exe with ThinkpadHotkey.exe. I ordered a used visiontek 480GB mSATA SSD for the T430, since I want more space without losing speed and spending too much money. It was $65. I was entertaining a 128GB 2.5" SSD with 160GB Ultrabay HDD dual spindle setup for awhile, just to try some gaming on the laptop (games installed on the Ultrabay HDD since my SSD was out of room). T430 is the fastest I have and it works well with my GTX 950 eGPU. Arrandale and newer all support Optimus so I can have eGPU acceleration to the internal display. I don't have any good monitors and prefer the laptop display. Plugged into my T500, the eGPU won't accelerate the internal display. This is a FHD, quadcore and 7-row keyboard modded T430. W540 LCD upgrade from TN FHD to FHD IPS - anyone done this? This is the X1 Carbon that I used to test my FHD kits. I'm selling a FHD mod kit pulled out from T430s.